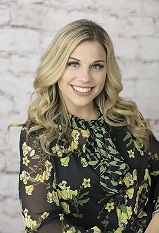 A native Texan, Lauren Guest is a Sales & Marketing Associate for Old Republic Exchange Company. In this capacity, she is responsible for business development and client management for the state of Texas. Prior to joining OR Exchange, Lauren worked as Director of Sales at a medical technology company. Lauren has a bachelor's degree in Integrative Studies from the University of North Texas. Lauren approaches 1031 exchanges with the interest of the client in mind and careful attention to detail. When combined with her relationship management experience, this creates an environment for the successful and satisfying completion of your next exchange transaction.